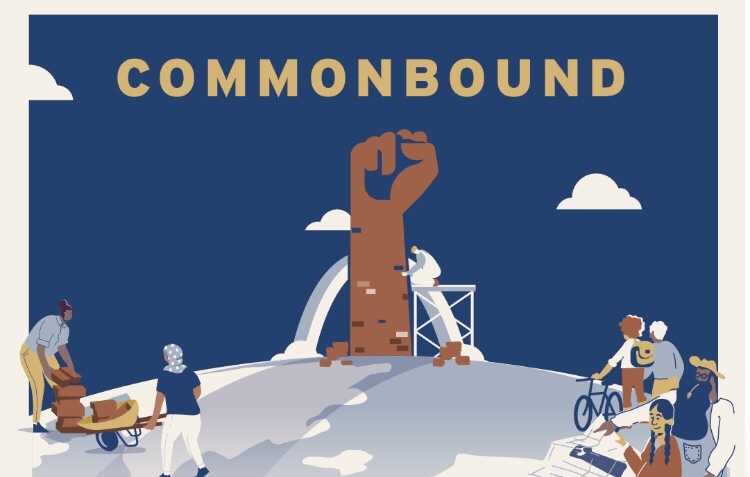 Why should you come to NEC's biennial conference CommonBound 2018: Owning Our Power in St. Louis, June 22 - 24? 1. Sliding scale registration ($180-550), making CommonBound as accessible as possible. 2. Ten diverse tracks of New Economy programming, connecting change-makers at the intersection of equity, justice, and capital. 3. Solidarity Economy St. Louis, (the conference co-host), a network of groups and individuals striving to build and grow a solidarity economy that embodies the values of justice, sustainability, self-determination, and cooperation. 4. CommonBound Network Gatherings that build capacity of New Economy leaders in 13 issue areas. 5. Five off-site visits to New Economy projects: Pruitt-Igoe, a public housing project; the Ville, a historic African-American community; Black Girl Heal, a sacred space of dance, poetry, and healing; the Griot Museum of Black History and Culture; and a work day with Red Circle. Let your network know about CommonBound by inviting them to the event and retweeting this post!